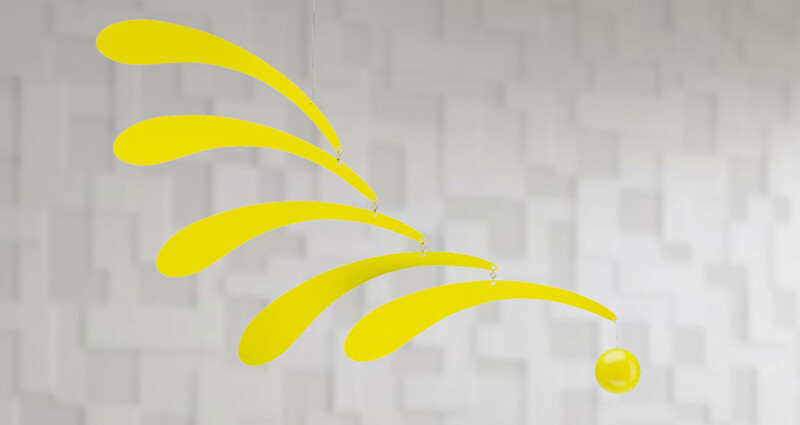 We love the elegance and simplicity of Flensted Mobiles and have curated our favorites. Mobiles are a traditional craft in Denmark, but the modern mobile - as a decoration for the home - was created in 1953 by Christian Flensted and his wife Grethe to celebrate the birth of their first daughter. Flensted Mobiles are designed so that the elements are in constant motion while the entire mobile maintains a harmonic balance. Today, Christian and Grethe´s son, Ole and his wife Aase continue the family tradition, with ideas for new and original mobiles.